This post summarises the new book by Philipp Köker ‘Presidential Activism and Veto Power in Central and Eastern Europe’ (Palgrave Macmillan, 2017). 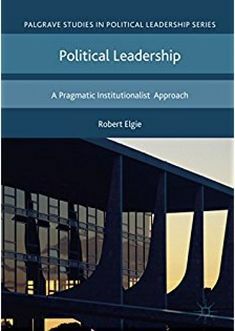 The book is the inaugural volume in the new series Palgrave Studies in Presidential Politics (edited by Robert Elgie and Gianluca Passarelli) and is based on Philipp’s PhD thesis which won the ECPR Jean Blondel PhD Prize 2016. The central argument is that presidential activism can best be explained by the institutional structure – including the mode of election – and the political environment, particularly the relative strength and level of consensus between president, parliament and government. Thereby, I argue that popular presidential elections matter fundamentally for presidential activism – directly elected presidents are agents of the public rather than parliament and lack the constraints and potential for punishment faced by their indirectly presidents elected counterparts (which challenges Tavits 2008). Furthermore, presidents should be more active when they find themselves in cohabitation with the government, when parliamentary fragmentation is high, and when the government does not hold a majority in the legislature. To test these and additional hypotheses, my book uses a nested analysis research design (Lieberman 2005) that combines the statistical analysis of an original cross-section time series data set on the use of presidential vetoes with carefully selected case studies based on numerous elite and expert interviews in four most-different countries. The analysis of presidential activism in government formation and censure is thereby deliberately left for the qualitative analysis as there is no adequate quantitative data yet. Patterns of Presidential Veto Use in Central and Eastern Europe My regression models generally confirms the majority of my hypotheses. In line with the table above, my model results clearly show that presidents used their veto power significantly more often than indirectly elected presidents. Furthermore, presidents were more active during neutral relations with the government and cohabitation and the effects of the governmental and presidential seat shares, too, showed the expected effects. Echoing findings from the study of presidential veto use in the United States, president also vetoed more frequently the more bills were passed by parliament. Based on the predictions of the statistical models, I then select 12 president-cabinet pairings in four countries (Estonia, Hungary, Poland and Slovakia) for further in-depth analysis. Thereby, I make sure to select both strong/weak and directly/indirectly elected presidents and one pairing per office holder to control for institutional variations and individual presidents. The in-depth analysis of presidential veto use also confirms my hypotheses and provides strong evidence that the hypothesised mechanisms actually insist. In particular, the mode of presidential election emerged as one of, if not the most important factor in explaining presidential activism. The popular mandate gained through direct elections gave presidents significantly more freedom in their actions but also required them to be more active to ensure their re-election – this was not only confirmed through my interviews with high-ranking presidential advisors but also evidenced by a number of presidents’ public statements. Indirectly elected presidents on the other hand acknowledged their dependence on parliament and therefore used their powers less often as not to interfere in the work of their principal. The relationship between president and government as well as the government’s strength in parliament were equally shown to be key determinants in presidents’ decisions to use their powers. Yet the qualitative also demonstrated that the size of presidents’ support base in parliament only becomes relevant when their party participates in government or when high thresholds are needed to override a veto. In addition, the qualitative analysis suggested an additional explanatory factor for presidential activism not included in my theoretical and statistical models – divisions within and between government parties provided additional opportunities for activism and could explain vetoes under otherwise unfavourable conditions. My analysis of presidential activism in the appointment and censure of governments then takes a more exploratory approach and covers the entire period of observation (rather than just specific president-cabinet pairings). The results show some support for existing hypotheses in the literature but also call for re-thinking the use of non-partisan cabinet ministers as a proxy for presidential involvement. In particularly, non-partisans were not only often appointed without presidential involvement, but presidents were also more actively involved in placing co-partisans in the cabinet. Presidents still belong to the group of less-studied political actors. Yet even though countries differ greatly in how much power is vested in the presidency, presidents always possess at least some power and even the least powerful presidents play an important functional and procedural role in their political systems apart from ceremonial duties. Thus, studying presidential politics has a very strong practical relevance for any republican political system. My book shows that theoretical approaches developed for presidents in other contexts (i.e. mostly the United States) ‘travelled’ almost effortlessly to Central and Eastern Europe. Several mechanisms of effect could be observed irrespective of institutional structure, highlighting the enormous potential of ‘comparative presidential studies’ beyond national contexts. Thus, I hope that my book is – together with the work of this blog and the recently formed ECPR Standing Group on Presidential Politics – will help to further develop this sub-discipline of political science to the extent that it becomes en par with long-established scholarship on the presidency of the United States. Lieberman, E. S. (2005). Nested Analysis as a Mixed-method Strategy for Comparative Research. American Political Science Review, 99(3), 435–452. Tavits, M. (2008). Presidents with Prime Ministers: Do Direct Elections Matter?. Oxford/New York: Oxford University Press. Find out more details about the book and the new series Palgrave Studies in Presidential Politics on the Palgrave website. This entry was posted in Bulgaria, Czech Republic, Estonia, Europe, Hungary, Latvia, Lithuania, Poland, Romania, Slovakia, Slovenia and tagged ECPR, Jean Blondel, Palgrave, presidential activism, presidential veto on July 24, 2017 by Philipp Köker.